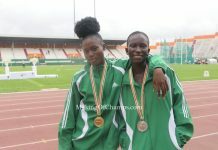 No fewer than 10 athletes from Making of Champions (MoC) Track Club opened their 2019 season at the Athletics Federation of Nigeria (AFN) All-Comers Meet, which took place in Ijebu-Ode, Ogun State, on Friday, April 5th, with four of them setting Personal Bests (PBs), while the others raced to Season’s Bests (SB) at the competition. 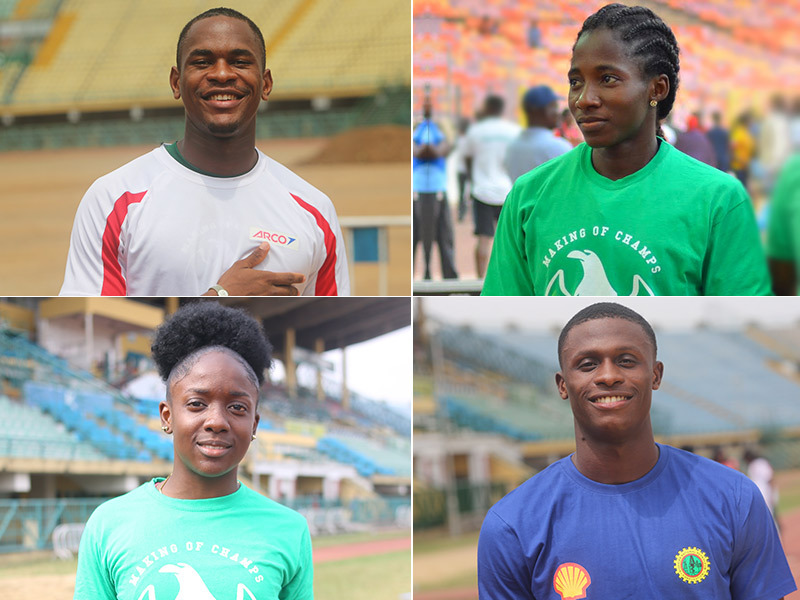 For most MoC senior athletes, their last competition was the National Sports Festival (NSF) held in Abuja in December 2018. As such, the meet in Ijebu-Ode served as an avenue to guage their level of readiness for the 2019 season which boasts of several international competitions including the IAAF World Relays, African Games and IAAF World Championships. ARCO-sponsored Jerry Jakpa opened his 2019 season on a good note, racing to the fastest time overall in the men’s 200m. The club was represented by 17 athletes – the highest number of MoC athletes at a single competition, and leading the team was ARCO-sponsored Jerry Jakpa who opened his outdoor season on an impressive note, storming to the overall fastest time of 20.7s to top the men’s 200m standings and secure the victory in Heat 2. Having made his international debut last year at the African Senior Championships in Asaba, Jakpa will be hoping to make the Nigerian teams to the above-listed international competitions. African Championships 100m Bronze Medallist Joy Udo-Gabriel opened her season with the 200m where she won her heat. Fellow ARCO-sponsored Joy Udo-Gabriel who won a Bronze medal at the 2018 Commonwealth Games, only competed in the 200m just like Jakpa, and sailed to a win in Heat 2 of the women’s 200m where she clocked a Season’s Best (SB) of 24.44s to finish ahead of Karo Brume (25.19s) and teammate Kelechi Christian (25.25s). Udo-Gabriel’s time was the second fastest overall across all heats, following Praise Idamadudu who clocked an SB of 24.12s to win Heat 2 of the women’s 200m. 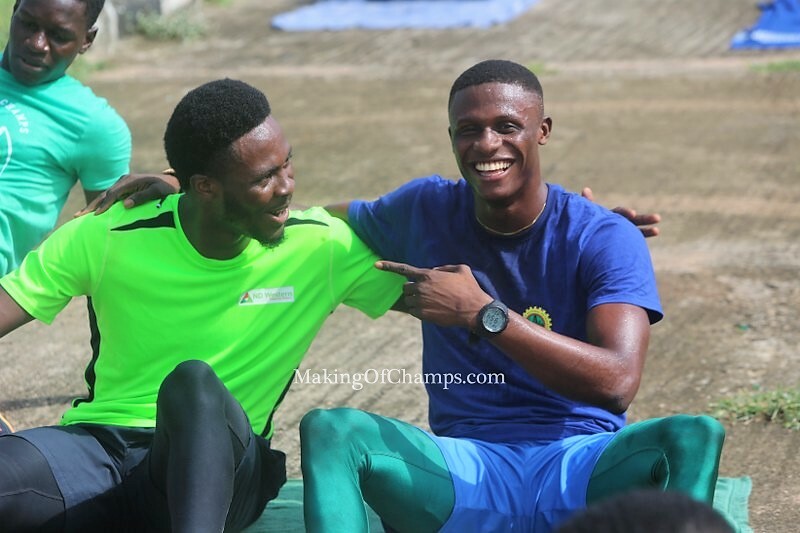 MoC teammates Emmanuel Ojeli and Bowofoluwa Egbeyemi competed in the same 100m heat and set PBs in the event.It was a brilliant outing for NSF 400m Bronze Medallist Emmanuel Ojeli who stepped down from his main event to compete in the 100m. 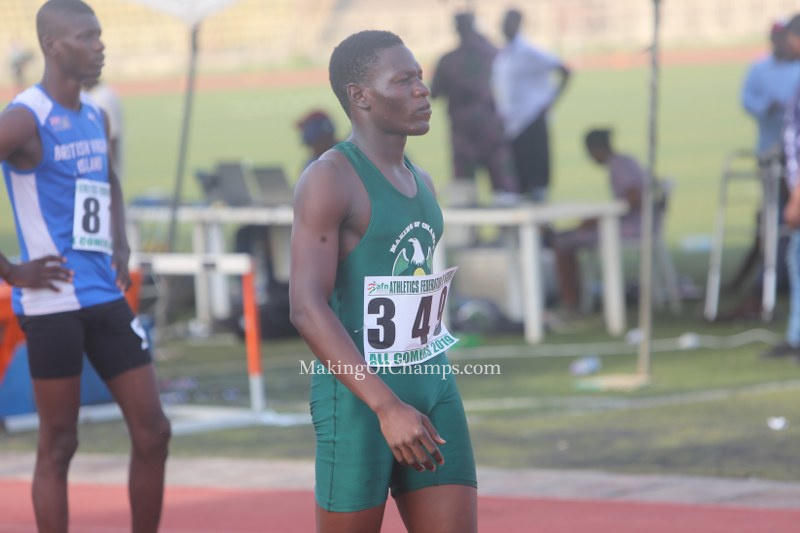 Ojeli, who is currently being sponsored by Shell, gave his sponsors something to watch out for this season as he engaged in a duel with MoC teammate and ND Western-sponsored Bowofoluwa Egbeyemi, inspiring the duo to PBs of 10.61s and 10.73s respectively, with Ojeli taking the lead. Ojeli’s mark was the second fastest across eight heats, ensuring that the MoC pair secured spots in the final which was won by Enoch Adegoke in 10.62s, while Ojeli settled for 2nd in 10.78s. Egbeyemi who is part of Nigeria’s 4x100m team to the African U20 Championships in Abidjan, finished 5th with a time of 11.07s. Ifunanya Muoghalu won her 400m heat in her first race of the season. Ifunanya Muoghalu opened her season on a winning note, taking the victory in her 400m heat with an SB of 55.74s, with Maria Onome Diamond and Adama Odili following in 2nd and 3rd respectively. 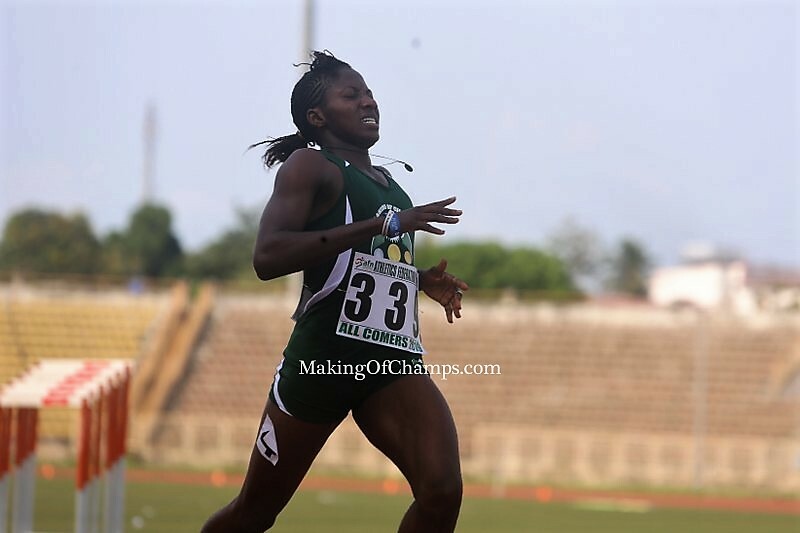 Muoghalu’s time was second in the overall rankings, after Funke Ogunbase’s time of 54.79s. 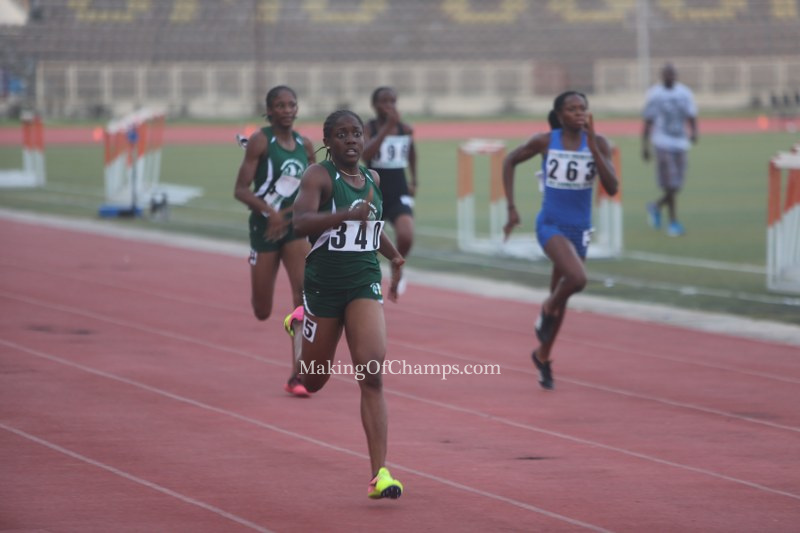 The UNIPORT undergraduate went on to compete in the 200m where she placed 4th in her heat in 25.12s, and will be hoping to improve on her times as the season progresses. 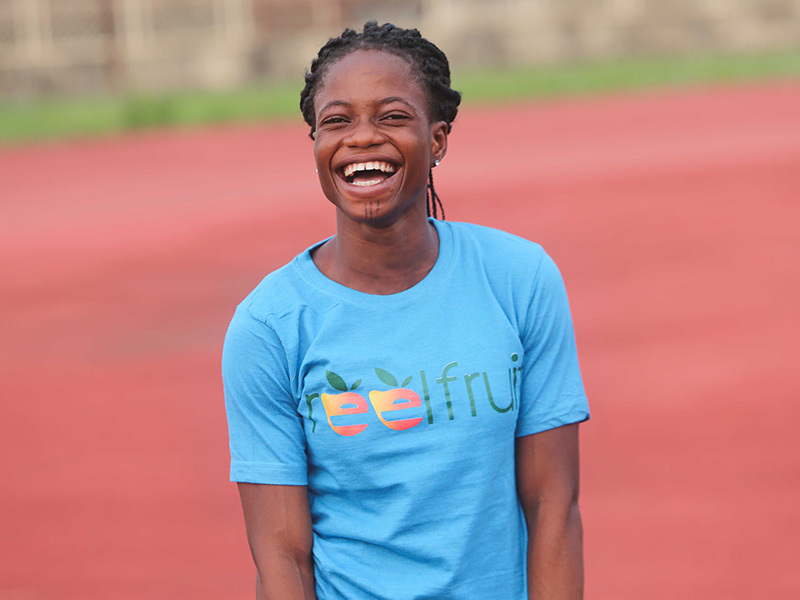 Success Umukoro who was unveiled as a Reelfruit athlete in Ijebu-Ode, stormed to a PB in the 200m. Making her debut at a senior competition, junior athlete Success Umukoro who is a recent beneficiary of a sponsorship from Reelfruit, stepped up her game to finish 3rd in her 100m heat in 12.43s, before racing to a PB of 25.08s in her 200m heat where she settled for 3rd place behind Praise Idamadudu, improving on her former time of 25.24s set in the final of the U-20 National Trials in Ilaro. Gracious Ushie gave a good account of himself in his first senior competition, going on to set a PB in the 400m. Fellow junior Gracious Ushie was also not left out of the PB rain as he bounced back from his outing in Ilaro where he clocked a time of 49.9s in his heat. This time around, the 17-year old demonstrated that he meant serious business by recording a new PB of 48.65s to finish 3rd in his 400m heat in Ijebu-Ode. MoC’s first para-athlete Ifeanyi Christian in his maiden outing for the Track Club, settled for 4th place in his 100m heat where he clocked a time of 11.28s. 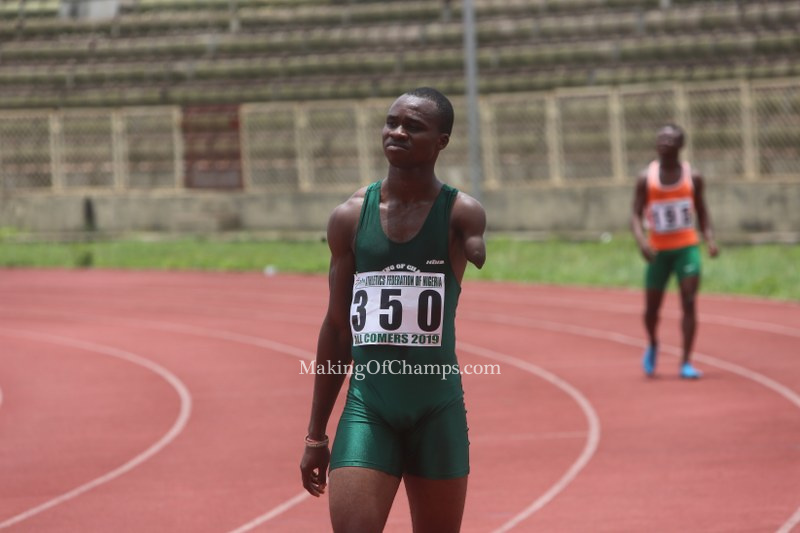 Christian, who is currently Nigeria’s best athlete in the T46 category of the men’s 100m, 200m and 400m, used the Ijebu-Ode meet to prepare for the Para-Athletics Trials holding in Enugu from April 10th to 13th. MoC’s first para-athlete Ifeanyi Christian used the All-Comers to prepare for the Para-Athletics Trials holding in Enugu later this week. 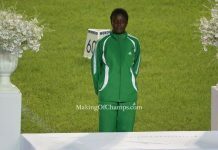 2017 African U20 100m women’s Champion Kelechi Christian also made her debut as an MoC athlete at the Ijebu-Ode meet. While competing in the 100m heats, she returned a time of 12.64s in 3rd place in Heat 4. 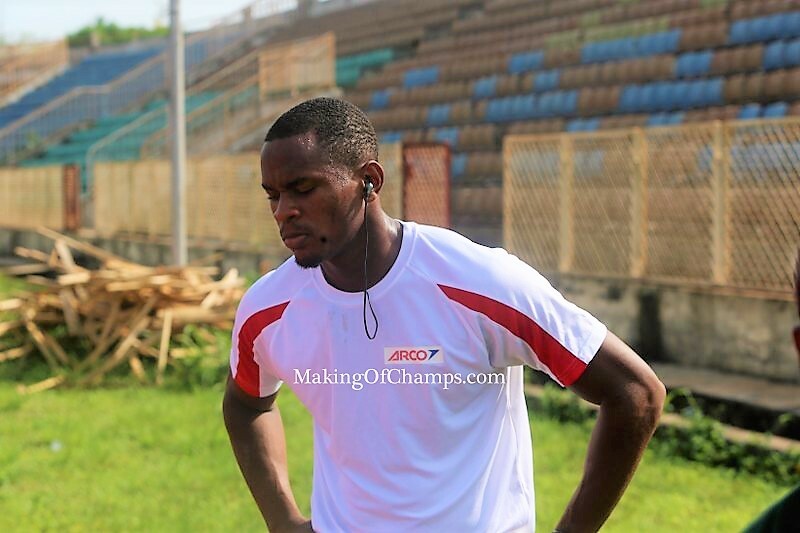 In the 200m, Christian who has a PB of 24.71s in the event, set an SB of 25.25s in Ijebu-Ode. 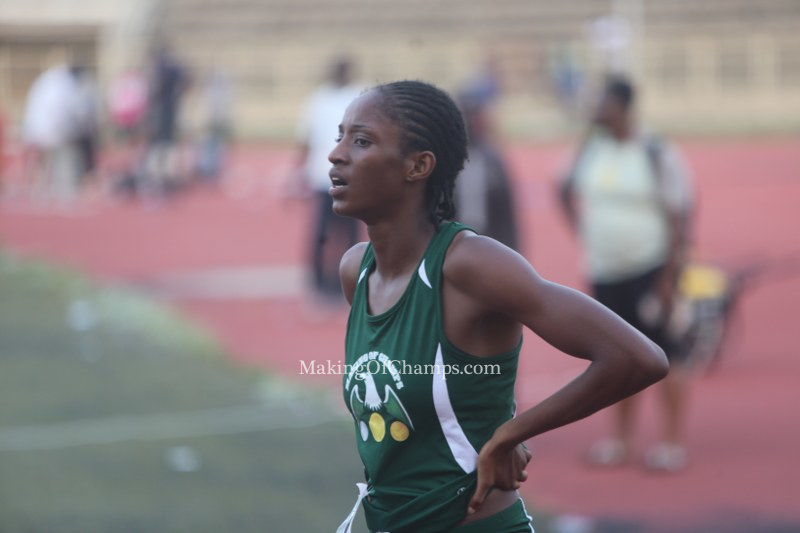 Kelechi Christian made her debut as an MoC athlete at the AFN All-Comers in Ijebu-Ode where she competed in the 100m and 200m. 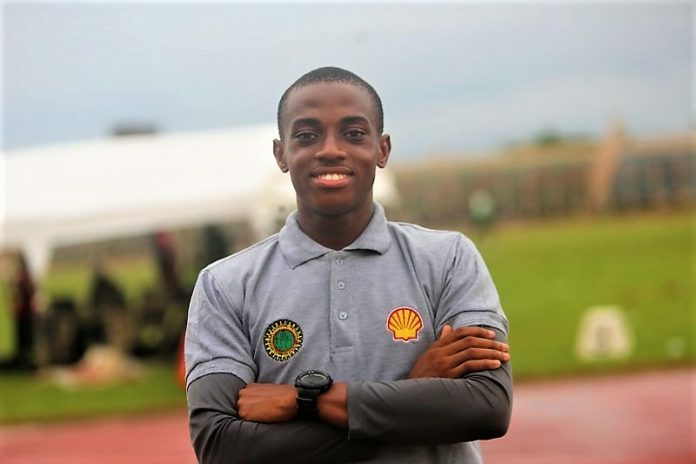 Shell-sponsored Favour Ekpekpe who recently won the 200m Junior title, returned to competition in the 100m and 200m where he clocked a time of 11.15s in Heat 7 of the men’s 100m, and then 2nd in his 200m heat in 21.7s. 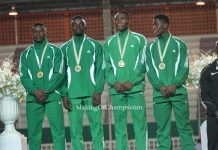 Ekpekpe is getting set to represent Nigeria for the first time at the forthcoming African U20 Championships in Abidjan. His namesake Favour Ashe also raced in the sprint double, setting times of 11.10s and 21.5s respectively. Shell-sponsored Favour Ekpekpe who is set to represent Nigeria at the forthcoming African U20 Championships, competed in the sprint double in Ijebu-Ode. 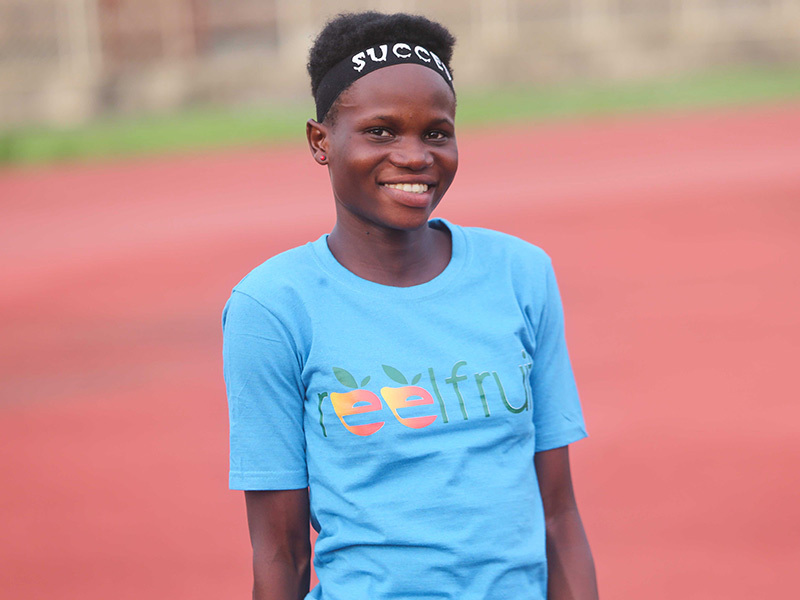 Recently-unveiled Reelfruit athlete Blessing Oladoye who is getting set to make her international bow for Nigeria after finishing 2nd in the women’s 400m at the National U20 Trials in Ilaro, competed in the women’s 200m in Ijebu-Ode and set an SB of 25.24s in her heat. Teammate Victory Owhovoriole also competed in only the 200m and secured 3rd position in her heat with an SB of 25.90s. Blessing Oladoye who recently got a sponsor, Reelfruit, stepped down from her main event to compete in the 200m in Ijebu-Ode. Multi-talented athlete Glory Nyenke competed in three events: the 100m Hurdles, 400m Hurdles and 200m. She placed 3rd in the first event with a time of 15.50s, and then 63.88s in the 400m Hurdles, before concluding her outing in Ijebu-Ode with a 2nd place finish in the 200m (25.52s). The trio of Olubunmi Lateef, Segun Akhigbe and Saheed Jimoh all raced in the men’s 400m and set times of 49.84s, 49.49s and 50.36s respectively in their season openers. 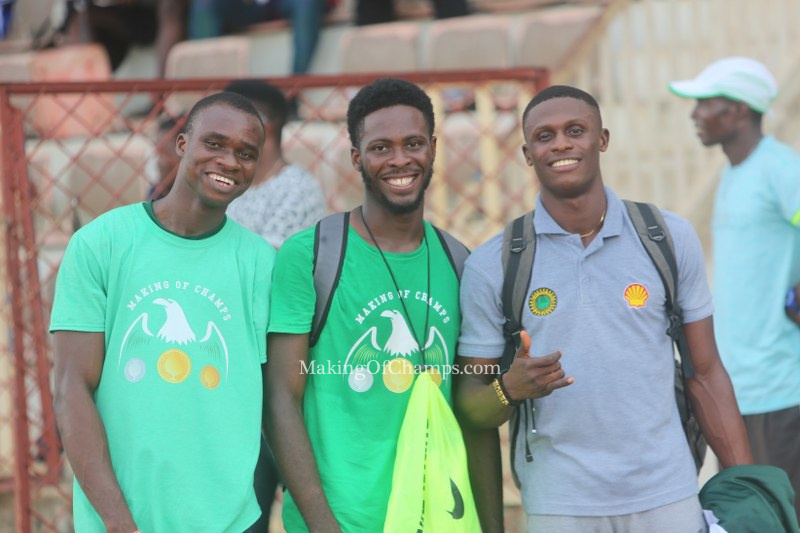 MoC’s trio of Ifeanyi Christian, Bowo Egbeyemi and Emmanuel Ojeli after their races.